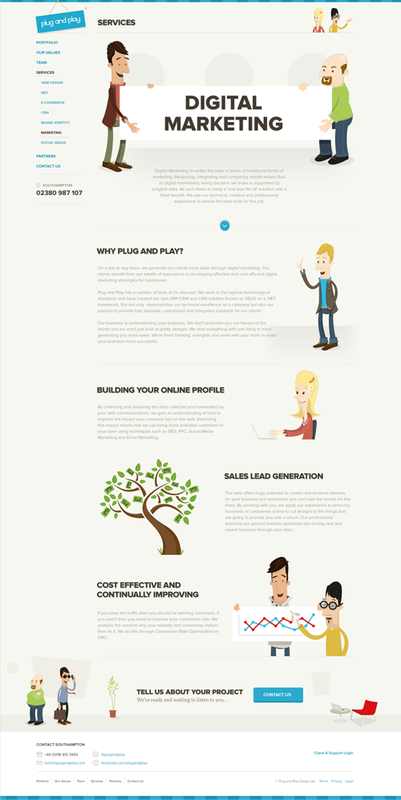 Plug and Play are another local agency that specialise in ecommerce and CRM software. They also offer franchise opportunities to budding entrepreneurs interested in growing their own business and working in the web. To sit alongside their new logo mark we developed a character based illustration collection that reflects their personal and friendly approach to doing business and also injects some richness into their on and offline presence. We worked closely with them to integrate the illustration collection into their clean and simple UI design and helped their development team take a responsive approach to building the site. One or two of their characters may or may not be based on team members! We love working with other local businesses and supporting them with their design challenges. It’s great that we can easily meet face-to-face and share ideas. 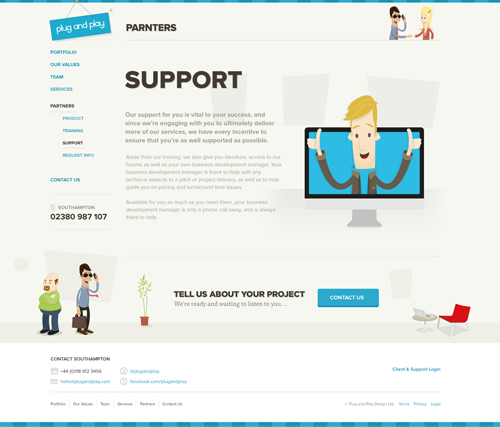 Supereight did a fantastic job and pulled together some cracking character illustrations for the Plug and Play website. Occasional updates on what we've been up to and new projects. We’d love to hear from you and answer any questions you may have. Send us an email, complete our project planner or just follow us on Twitter, Dribbble & Instagram.